Save 15% when you receive 5 or more products in one month to one address with auto-deliveries. Currently, you'll save 5% on your Sep 20 delivery. 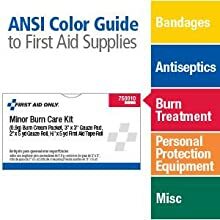 Amazon's Choice for "tecnu wipes"
Consistent color-coded packaging matches ANSI recommendations for easy identification when the user needs to find a first aid supply to treat an injury or know what to reorder for their kit. 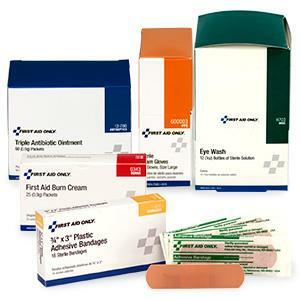 Each unitized box is shrink-wrapped to keep product contained during shipping. 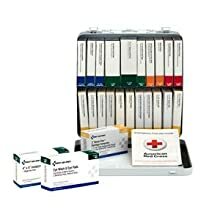 Missing a refill box in your First Aid Kit or Cabinet? The First Aid Only unitized refill boxes come in a variety of sizes to help you select the refill you need when replenishing your cabinet. 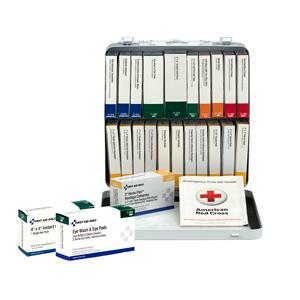 The interchangeable refill boxes allow you to customize your kit or cabinet to meet the needs for a wide range of industries. 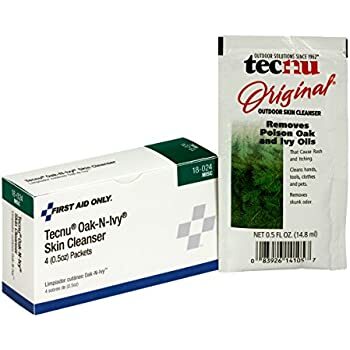 First Aid Only Tecnu Oak-N-Ivy skin cleanser with 4 packets per box. 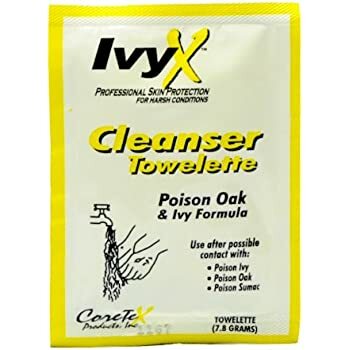 The outdoor skin cleanser removes poison oak and ivy oil that cause rashes and itching. 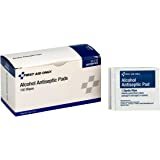 Individual single use packets are easy and convenient to use. 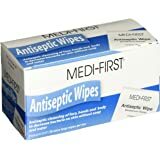 The cleanser can also be used to clean hands, tools and pets, making it ideal for a first aid kit or as a stand alone supply. 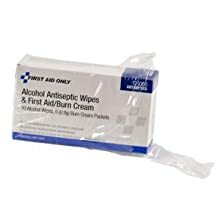 A wipe suggests that you can use this on the go, when you don't always have the convenience to "rinse thoroughly using cool water." 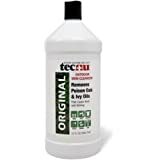 If I had access to enough water to rinse thoroughly I'd just use the Tecnu that comes in the bottle. 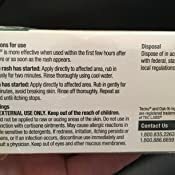 Since I didn't see the specific application instructions, anywhere in the product description, I'm attaching a photo of the back of the box to help others decide if this is right for them. The 3 star rating is specific to the wipe format of this item, and the lack of a thorough disclosure statement around application. 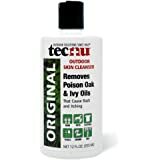 The rating is not in regards to the efficacy of Tecnu the chemical. Tecnu seems to work but save yourself some money and just get the bottle. It's not that large. 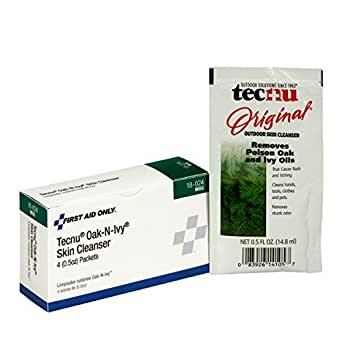 For some reason, I was under the impression that these were Tecnu wipes, but its just smaller packets of Tecnu. Still handy I guess since I didn't have to take the bottle, but not as cool as I originally thought and could have saved money by just using the bottle. 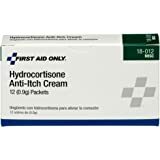 Saved me from a recent poison ivy outbreak. I found some poison ivy in the yard and had to get rid of it before my kids and pets got into it. 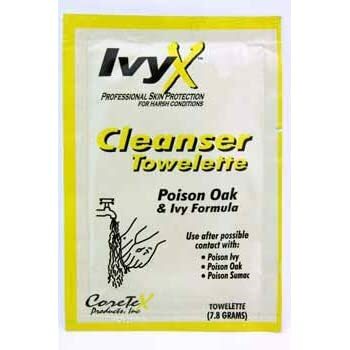 I was able to use one packet to wash before going inside from pulling up the ivy. I washed from head to toe and still had soap leftover. I wound up with two tiny poison ivy bumps that only lasted a couple days. Not bad considering I usually wind up at the doctor from the slightest encounter with poison ivy. 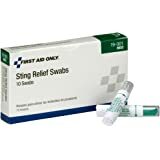 The packets are great to keep in the car or first aid kit in case someone accidentally gets exposed. 5.0 out of 5 starsNeat for the backpack! I have dogs who have no sense about Poison Oak. It doesn't bother them, but when they run through some, it will transfer onto me when I do the foxtail/tick check on them at the end of the hike. 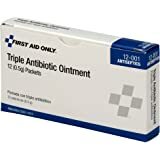 These little packets are great to have on-hand and Tecnu really does work if you get to the poison oak oil -before- your skin reacts to it. 5.0 out of 5 starsTecnu saved my favorite sandals. 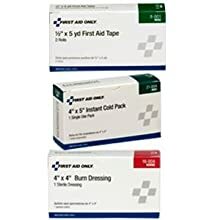 This stuff works! 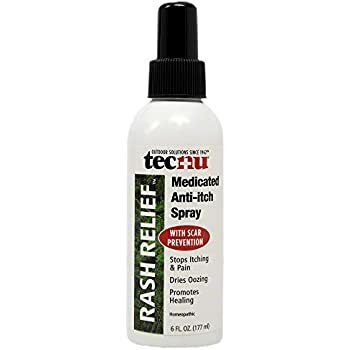 I got urushiol on a sandal from brushing against poison ivy. It kept transferring to my foot even after cleaning the straps multiple times over a couple months. They were expensive sandals and very comfortable so I wanted to save them. 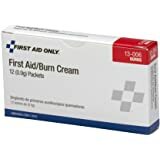 I selected this product after reading reviews. I am so glad it worked! 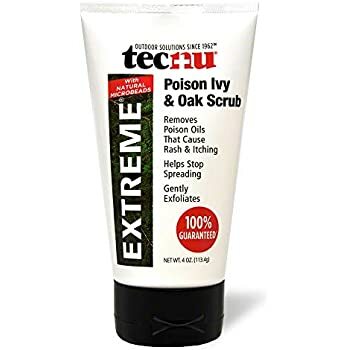 I'd recommend trying this out sometime when you don't have poison ivy, so you can see how your skin reacts to it. 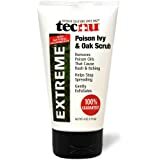 It successfully washes away the poison ivy, but if you're sensitive to strong cleansers you might react to the Tecnu itself. Comes in a little box with four packets inside. Packets are the ointment you squeeze out onto your skin, like a ketchup pouch. Packets are big, plenty to use for hands.